BIM, THE NEXT STEPS FOR QUEENSLAND, IS IT THAT SIMPLE? For a digital transformation to occur at a national level, it needs the support of government through resources, astute policy and adequate funding. In March 2016, the Queensland Government released the State Infrastructure Plan (SIP), a strategy document that focuses on encouraging and supporting innovation and ideas from industry. It addresses the Government’s long-term commitment to improving the utilisation of our state’s infrastructure assets, to more efficiently maintain these assets, and to address the challenge of funding new infrastructure assets. One of the essential drivers of this commitment is the mandate of Building Information Modelling (BIM). It will be progressively implemented into all major state infrastructure projects by 2023. BIM has been identified as the best solution to a number of asset management challenges such as extending the life of an asset, and managing it at peak times. It also opens up a suite of opportunities for advances in cost estimating and risk assessment through virtual design construction. Queensland has led the way with the use of BIM on some of its iconic public projects, including the Brisbane City Hall redevelopment and the Queensland State Archives at Runcorn. Other states are progressively adopting BIM for hospitals, rail systems, sports stadiums and educational facilities. We need to set standards that can be adopted industry-wide so major projects can ‘talk’ to the organisations they will touch. For example, how can we ensure that a project like Cross River Rail can share data with Queensland Urban Utilities, Energex and other key infrastructure providers? The complexities require deep consideration and we’ll turn to countries well-versed in BIM, like the UK, for insight. Andrew Curthoys is an Urban and Regional Planner with almost 30 years’ experience in planning for urban communities, infrastructure projects and policy delivery. Andrew is a Fellow of the Planning Institute of Australia. He has a Master’s of Business Administration from the University of Queensland and is a Graduate of the Australian Institute of Company Directors. 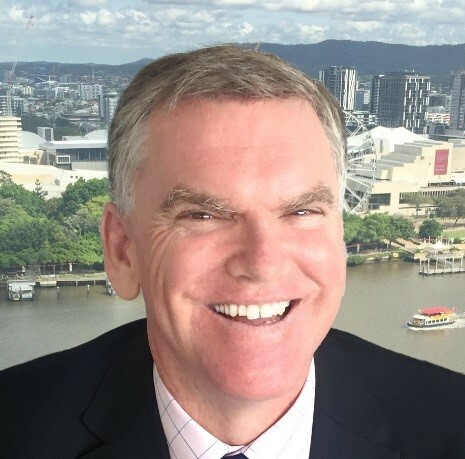 Andrew Curthoys has worked for Queensland Government since 1992 in project and program management roles, and is currently assisting Government agencies and the private sector to identify their infrastructure policies in the asset management space. He is leading the delivery of Queensland’s BIM implementation program including the delivery of policy and principles. Andrew is passionate about asset management and better utilisation of public infrastructure and the savings that can be generated for governments and in turn the community. It is now generally agreed that climate changes such as extreme weather events, increased rainfall, sea level rise, increased storm activity and intensity and changes in temperature could lead to reductions in infrastructure lifespan, disruptions to transport and services, impacts on business performance, increased maintenance costs, and process issues. It is therefore important to identify the adaptive capacity of Australian infrastructure sectors to future climate changes. These sectors include: road, rail, telecommunications, energy, water, ports, defence, construction, mining, manufacturing, agriculture, insurance, banks/investment and government agencies. In some instances infrastructure owners, builders and managers and the insurance sector already have established risk assessment management frameworks and processes and these may include climate change considerations. As input to this it is important to gain an understanding of industry adaptive capacity and how climate change adaptation can be or is being included in established risk assessment management frameworks and processes, and in strategic business planning for the infrastructure sectors. We should aim to deliver a framework that will provide tools and management options to enable infrastructure to be more resilient to a change in climate. This framework should deliver a climate resilience strategy that sets out how to address risk areas and enables decisions to be made that support being more resilient to change, improved community understanding of risk so they are more able to support decisions on how to manage risks and solutions to manage both short and longer term risks. The Infrastructure Sustainability Council of Australia’s [ISCA] IS rating tool provides the basis for assessing sustainability of both existing and planned infrastructure and is therefore a key input to assessing adaptive capacity and resilience. 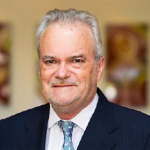 David Singleton is Chairman and Director of the Infrastructure Sustainability Council of Australia, a Director of Standards Australia Ltd, a member of Council at Swinburne University of Technology and a board member of the Future Business Council of Australia. David is a Fellow of the Australian Institute of Company Directors and a Fellow of the Academy of Technology and Engineering. He is an experienced company director who holds or has held director-level roles with privately held, industry and government boards in Australia, UK, Singapore and Africa, including several as chairman. David is a civil engineer and planner who has had responsibility for the strategic leadership and growth of the global consulting firm Arup, as a founding member of the Arup Group Board (2001–2011). He has experience in leading the growth and development of the global business of Arup in 40 countries during his 41year career. David created the sustainability strategy and global policy framework that Arup applies across its global operations and led its development and implementation from 2004 to 2011. David is a five-time recipient of the 100 Most Influential Engineers in Australia Award (Engineers Australia), with the most recent being in 2015. Critical and heavy-duty machines are expensive to replace and breakdown may lead to tremendous costs and environmental loss. A proper health management system for machines must have sophisticated fault diagnosis and prognosis systems. First, numerous data and operational information of the monitored machine must be collected. Fault related features will be extracted automatically. Second, based on the temporal features, the growing fault can be estimated and, finally, the Remaining Useful Life (RUL) of the deteriorating machine can be predicted accurately. To date, most of the reported methods of RUL prediction are workable only for relatively linear fault trends. Few reports can be found dealing with the prediction of RUL generated from machines that exhibit a high fluctuation in their monitored sensor signals during operation. In this presentation, the development of a novel and intelligent fault diagnosis and prognosis system for critical machines will be reported. The system has been designed via sophisticated artificial intelligent algorithms and implemented thru virtual instruments. The system has been well tested in slurry pumps that are widely used in oil exploration and mining industry. The state-of-the-art system can be modified and applied to other types of pumps and machines such as reciprocating machines, engines, chillers etc., that also experience drastic changes in monitored signals during their operating. The expected results are the minimization of production downtime, a dramatic decrease in maintenance costs and the avoidance of human casualties. The power law model has been widely used to analyze failure data from repairable systems and to optimize overhaul decision. However, it is not applicable for the situations where the empirical mean cumulative function displays complex shapes. It is noted that the failure observations in wear-out phase have larger influence on overhaul decision than the failure observations in early and normal use phases. This implies that the observations in different phases have different importance and the power-law model may be still appropriate for the overhaul decision optimization as long as the fitted model is mainly based on the observations in the wear-out phase. In this paper, we use a simple weight function, which is proportional to the normal density function, to reflect the importance of failure observations at different times. We propose a heuristic method to determine the parameters of the weight function so that it can appropriately stressed the recent observations. The observed data are fitted to the power-law model using a weighted least squares method, and the fitted model is then used to optimize the overhaul decisions for the population and individual systems, respectively. The appropriateness of the proposed approach is illustrated by a real-world example. Dr. Renyan Jiang is Professor at Changsha University of Science and Technology, China. He obtained his undergraduate and graduate degrees from Wuhan University of Technology, China, and his PhD from the University of Queensland, Australia. He held visiting appointments at the City University of Hong Kong, the University of Saskatchewan, the Hong Kong Polytechnic University, and the University of Toronto. He has authored or coauthored five books and more than 170 papers in the field of quality, reliability and maintenance. 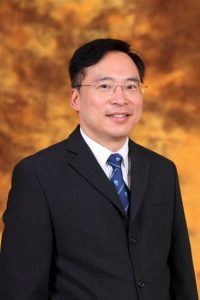 He is member of editorial board of Reliability Engineering and System Safety, and selected into the list of Elsevier 2014-2016 Most Cited Chinese Researchers in the field of Safety, Risk, Reliability and Quality. Creating value from the organisation’s assets is a core function of the board and the objective of asset management. Do board directors recognise the critical role that asset management plays in their decision making? We have integrated Tricker’s internationally accepted model of governance with the principles of asset management, as detailed in the ISO 5500x standards. This provides a useful framework for boards to understand the importance of asset management and for asset managers to better articulate their value to boards. Effective communication between boards and asset managers requires a common language and this framework aims to provide this. It articulates the role of asset management in fulfilling the four governance functions of risk, compliance, strategy and performance. To complement this, it also addresses the board’s role in the four asset management fundamentals, namely: value, alignment, leadership and assurance. Through integrating these roles, a clear connection can be drawn between a company’s overall strategic objectives and its asset management practices. 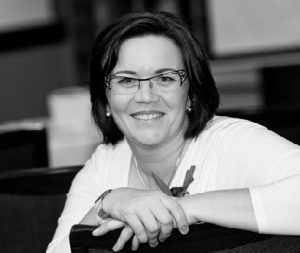 Dr Monique Beedles has over 16 years’ experience as a board director in private and public companies, not-for-profit organisations, professional bodies and government entities. She is a Fellow of the Australian Institute of Company Directors and her latest book, Asset Management for Directors has recently been published by AICD. Monique holds a PhD in corporate strategy and is one of the first professionals globally to become a Certified Asset Management Assessor under the ISO 55000 suite of international asset management standards. Monique is Chair of the AMPEAK International Asset Management Conference, hosted by the Asset Management Council. Through her specialist strategy practice, Teak Yew, which Monique established in 2004, she advises boards and executives on strategy and asset management. Building intangible assets, such as trademarks as brand equities, is essential for globally competitive enterprises. This research deploys formal business process modeling and analysis to discover the processes, data, costs, and the players involved in registering a trademark for a country of origin. The research will model “as-is” and “to-be” trademark (TM) registration services. Simulation of the processes enable the construction of an e-trademark service platform, which increases the efficiency and transparency of TM services. Once the TM registering processes are documented, they can be extended to include a full spectrum of smart TM services, such as TM search and analysis to prevent infringement, parallel importation, and illegal branding. The research designs the e-TM registration process in the country of origin and filing for global trademarks under the Madrid system. The e-TM registration process adds value and reduces the manpower required to register trademarks. Finally, a comparative analysis of the as-is (manual TM) and to-be (e-TM) processes provides quantitative measures of the improvements in e-TM service performance. The data models enable the removal of bottlenecks and identify the limitations to protect manufacturers’ intangible assets (brand equity), which guarantees genuine products and services for global consumers. Prof. Amy Trappey was the Chair Professor and Dean of Management School at the National Taipei University of Technology (2008~2011). 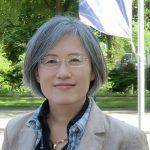 She is Distinguished Professor in Department of Industrial Engineering and Engineering Management at National Tsing Hua University, Taiwan. Amy is a fellow of the American Society of Mechanical Engineers, the International Society of Engineering Asset Management, and the Chinese Institute of Industrial Engineers. Amy’s research expertise in knowledge engineering and intelligent decision support and modeling for the fields of patent informatics, intellectual property (IP) management, and engineering asset management has received international recognition. She received research awards, e.g., MBAA Distinguished Paper Award and Literati Club Highly Commended Award. 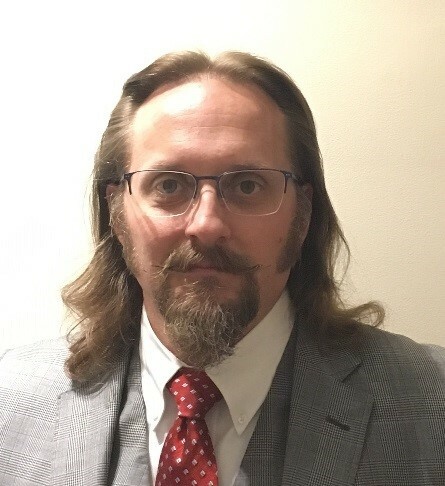 Prof. Trappey serves as the Associate Editor for two highly ranked journals, i.e., IEEE Transactions on Systems, Man, Cybernetics (SMC): Systems and Advanced Engineering Informatics. She is also serving on the editorial board of the journal of World Patent Information. Amy’s works, not only contribute toward theoretical research, but are implemented by her research team as computer supported intelligent IP analytical systems. These intelligent patent and IP e-discovery solutions have helped Taiwan companies through industry-university joint projects for innovation management and R&D strategic planning. State and local governments make significant investments in the public infrastructure they need to deliver public services. These services necessitate government to manage large numbers of complex, long-lived assets, most of which they own and control. Maintaining and renewing their extensive infrastructure networks while operating at sustainable levels is a key risk to government. If governments are not renewing their assets at optimal times, then future generations may have to bear the cost. For these long-lived assets, the total cost of ownership to government can be significantly greater than the up-front acquisition costs. This places a premium on sound decision-making as part of strategic asset management planning. Why then do we continue to observe asset investment decisions in the public sector being made without the benefit of rigorous planning? What is going wrong and why? How can asset management professionals work together to overcome this? This presentation will draw from various asset management concepts from the Queensland Audit Office’s recent reports to the Queensland Parliament. 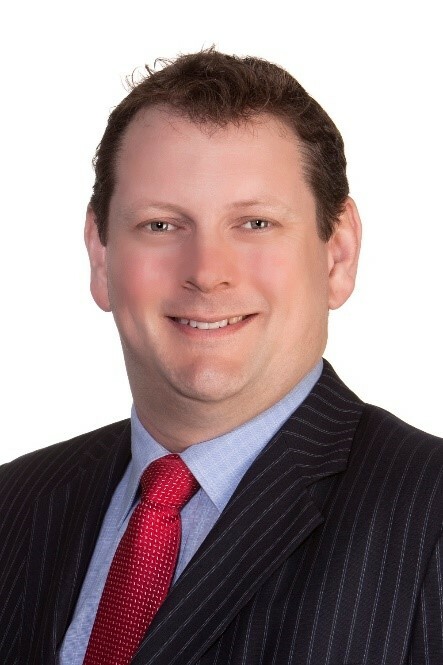 Patrick Flemming is a Director at the Queensland Audit Office (QAO) where he currently heads the local government sector. Patrick oversees the sector’s annual program of financial audits, sector based reports to Queensland’s Parliament and stakeholder engagement. Prior to leading the local government team, Patrick managed QAO’s Audit, Policy and Quality section where he provided technical accounting and auditing advice on a range of complex issues encountered by QAO clients. Patrick holds a Masters of Commerce and has over 20 years’ accounting and auditing experience. He is a member of the Asset Institute’s Public Asset Collaborative Group, and represents audit offices on an Austroads project developing guidelines for minimum levels of componentisation for Road Management Authorities. Over the years, Patrick held senior financial accounting and treasury accounting positions with multinational organisations, and was briefly involved in the audit of local governments in the United Kingdom. Patrick is a Fellow of CPA Australia. Finite resources and competitive markets drive efficiency in the provision of goods and services. Within a Federal system how does a third tier level of government, that directly collects about 3 per cent of the public sector revenues through regulated mechanisms but is responsible for 24 per cent of public assets, sustain assets to meet ongoing community needs and the demands of growth? The Local Government Association of Queensland (LGAQ) was established in 1896 as the peak body for Queensland’s local governments, who deliver services directly to communities under Australia’s three tier federal system. Roland has worked with agencies at all levels of government in Australia, providing advice on agricultural commodities, labour markets, post-school education, R&D commercialisation and transport. He joined the LGAQ team in 2012 to support local governments in providing key services to communities across the State. Do we need another maintenance strategy? Will existing maintenance strategies be “fit for purpose” in the future? In this keynote, Dr Moray W Kidd will explore the future for maintenance engineering. Initiatives including Industry 4.0 in Europe attempt to compartmentalise elements of asset management including remote and predictive maintenance but a strategic vision for the future appears to be lacking. Whilst existing standards for asset management provide a good framework they often lack detail in relation to implementation. In his work with over 500 engineering managers across several sectors during the past decade, Dr Kidd has observed many maintenance engineering challenges. One of the biggest challenges appears to be the lack of “useful” asset performance data for analysis enabling subsequent actions for improved practice. Proposals for next generation maintenance strategies will be presented with particular emphasis on integrated data driven asset care. Dr Kidd has a wealth of experience gained working in various professional mechanical engineering roles for companies including ABB, GE and BAE Systems. His special interests include Reliability Engineering, Mechanical Design and Project Management. In his role as Deputy Director, Dr Kidd managed the BP Engineering Management for the past ten years for the University of Manchester. Dr Kidd has been awarded Fellow of the Institution of Mechanical Engineers in recognition of his significant responsibility and contribution. Dr Kidd is an active BSI committee member for TC251 providing expert input to the development of the ISO55000 (asset management standard). His Doctoral Research focused on Automotive Reliability with special emphasis on Expert Systems for Condition Based Maintenance. Dr Kidd has supervised over two hundred UG/PG dissertations and ten PhD projects to successful completion (many of these students were based in industry working on real application challenges). In his current Senior Lectureship post at the University of Manchester, Dr Kidd teaches Reliability Engineering, Mechanical Design and Project Management. He is actively involved in Research, Consultancy and CPD in all these subject areas. Dr Kidd is the Unit Leader for Risk, Reliability and Maintainability on the Professional Development MSc Programme on Asset Management. Through the life cycle of civil infrastructures, quality assessments shall be conducted during construction, while in-service, and before/ after repair. However, there are no decisive techniques available to evaluate the inside of structures non-destructively. The authors have developed an advanced measurement method using a tomographic approach referred to as AE tomography without artificial excitations, leading to one-side access evaluation of large infrastructures. With this advanced technology, internal damage or defects can be visualized as a distribution of elastic wave parameters such as velocities so that damage identification consisting of locations and degree of damage can be detected. In this paper, qualities of infrastructures in the serial phases of their life cycle are assessed with these tomographic approaches and the damage estimated is compared with actual observation of the damage. The results will be discussed at the Congress. 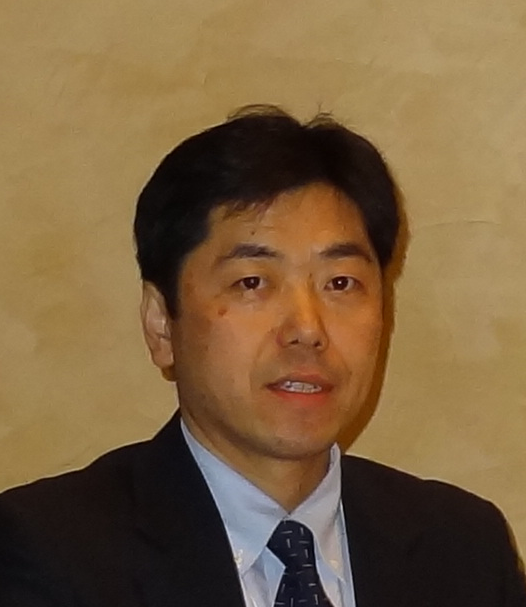 Dr. Tomoki Shiotani is Professor of Department of Civil and Earth Resources Engineering, Graduate School of Engineering, Kyoto University as well as Vice Director of Infra-System Management Unit, Center for the Promotion of Interdisciplinary Education and Research, Kyoto University. He is also an invited researcher of National Institute of Materials Science. His research fields are involved in advanced NDT to assess such infrastructures as road bridges, dam, piers and so forth. Fibre optical sensing, acoustic emission (AE), ultrasonic and impact elastic waves methods are his fields and in especially in AE where he is world renown in the improved b-value and AE tomography. In AE societies, he is currently Chairman of Research & Technical Committee on AE, Japanese Society of Non-Destructive Testing (JSNDI), and Past-Chairman of Acoustic Emission Working Group (AEWG), USA. He is one of the founders and currently Vice President of the International Institute of Innovative Acoustic Emission (IIIAE), consisting of three major AE groups of Japan, USA and Europe. His recent interest covers the life-cycle evaluation of infrastructures with NDT, and he has established two technical committees in the Japanese Concrete Institute and RILEM dealing with a life span of infrastructures by means of NDT. He has published more than 200 reviewed papers and hold more than 40 patents. He has received a lot of awards such as three NDT awards from Structural Faults & Repair Conference, UK, 2008, 2013 and 2016. He is also medalists of AEWG of USA, Fellow Award and Joseph Kaiser Achievement Award, 2013 and 2017. Australia’s delivery rate in sustainable housing lags other OECD economies due to an absence of engagement by stakeholders in adopting sustainable housing practices. This may be due to confusion as to what sustainability features should be considered, given the large range of environmental, economic and social sustainability options that are available. One of the main problems appears to be that information providers, especially real estate agents, valuers, insurance agents and mortgage lenders do not include sustainability perspectives in their advice to property buyers during their decision making process. Information distribution in the Australian property market is flawed, resulting in a lack of return-on-investment value of ‘green’ features that have been implemented by some stakeholders. A review of global sustainable development concepts and Australian sustainable assessment methods suggests the possibility of developing a model for symmetric sustainability features information distribution in the property industry. This special session has a specific, but not limited to, interest in the enhancing the information distribution of sustainability features within the residential property sector. Although the Australian property sector has been identified to set the tone and context of this session, international perspectives and practices are highly sought to form a solid comparative learning discussion. Dr Diaswati (Asti) Mardiasmo) is currently National Research Manager for PRDnationwide; responsible for delivering property asset related research services to all 105 PRDnationwide franchises across Australia and USA (under the United Real Estate and PRDnationwide initiative). Within this capacity Asti also actively contributes to numerous research collaborations; in particular as an industry partner for the Sustainability in Housing ARC (Australian Research Council) linkage. 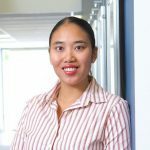 She is a member of the International Society of Engineering Asset Management, a sessional academic at the QUT Business School, and an adjunct research fellow at the QUT Faculty of Law. She obtained her B.Bus in Economics and M.Bus in Public Administration and Governance from the QUT Business School and her PhD in Asset Infrastructure and Management from QUT Faculty of Law. Asti has published her work widely in a range on internationally acclaimed academic conferences, practitioner conferences, journals, book chapters and published reports. She contributed to the development of the ‘Guide to Integrated Strategic Asset Management’, released by the Australian Asset Management Collaborative Group in 2012. Asti actively comments on economic and property conditions in Australia in various print media, online media, and guest commentator on various TV news channels. Electricity generation and network distribution systems the world over have evolved progressively through the 20th century. The evolution was initially driven by the development of technology along a relatively slow progression curve. Growth in economic activity as well as population growth and recovery from significant global events such as the second world war, provided opportunities at various times for technology upgrades to be taken up in faster than average time. Developing economies across South America, Africa and Asia have taken up the technologies applicable at the time of expanding their electricity supply systems as their economic prosperity would allow. The global threat of climate change is now pushing governments around the globe to actively encourage and subsidise renewable energy sources into the electricity supply mix. In some networks, renewable generation market penetration is approaching or achieved being the dominant source of supply, revolutionising all the old norms in electricity supply. Governments, technology providers and the environmental lobby have been promoting change on the basis that new and old technologies are interchangeable. The technical characteristics that keep networks reliable however are not served on the same basis by the various technologies. The traditional generation owners must learn new ways to operate and care for their assets during transition with bleak prospects of longevity. Network operators are faced with multilevel step changes in the generator characteristics needed to keep networks reliable. Network developers and maintainers are dealing with growth in distributed generation radically challenging the as built network construction. Asset owners across the spectrum of electricity supply are facing a revolution in their historic approach to operating and developing their assets, how will this flow on to their processes of asset management? 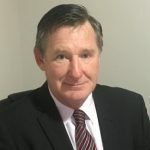 Stephen is an experienced senior executive with over 40 years professional engineering experience and has worked at a senior management level within a number of Australian power utilities. Stephen has extensive experience in all facets of the Australian Electricity Industry, including Generation, Networks, Energy Markets and delivering engineering and management contracted services. He has a strong record of achievement in delivering business success supported by innovative approaches to long term problems. Stephen is a strong believer in the integration of business and asset management processes and integrating holistic and consistent approaches to risk management into routine utility management. Stephen is currently employed as Managing Director of Generator Property Management and is the independent Chairman of the Asset Institute. Stephen was previously a Board member of the Centre for Infrastructure Engineering Asset Management. He was recognised for his expertise in Asset Management by the International Society for Engineering Asset Management (ISEAM), as the 2014 recipient of the Society’s Outstanding Achievement Award. Deep Learning is a branch of learning based on a set of algorithms that attempt to model high level abstractions in data by using a deep graph with multiple processing layers, composed of multiple linear and non-linear transformations. These models help to learn representations from large-scale unlabeled data. Some of the representations are inspired by information processing and communication patterns in a nervous system, such as neural coding. Various deep learning architectures comprise deep neural networks, convolutional deep neural networks, deep belief networks and recurrent neural networks. Stand-alone neural networks have been applied to engineering problems like condition monitoring, computer vision, automatic speech recognition and bioinformatics. Such stand-alone networks have also been developed for various areas of finance, like portfolio selection, fraud detection and banking failure forecasting. Engineering Asset Management, addressing the general problem of physical asset management, relating engineering capability to economic cost and value in a highly integrated way requires integrated analytical tools to handle big data which is intense, unstructured, uncertain and with hidden relationships. This talk will discuss the possibilities of developing a Deep Learning Software Paradigm of extensive highly interconnected complex processes of input-output mappings for knowledge extraction and decision making for an Engineering Asset. Prof. Nalinaksh S. Vyas has been at the Indian Institute of Technology Kanpur since 1987 and also currently functions the Chairman of the Technology Mission for Indian Railways of the Government of India. At IIT Kanpur, he was the Head of Mechanical Engineering Department, Nuclear Engineering Department, Centre for Mechatronics and the Innovation Laboratory. 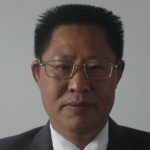 He has also been a Visiting Professor at Virginia Tech, USA; INSA Lyon, France; Lulea University Sweden and National Chung Cheng University, Taiwan. He served as Vice Chancellor of Rajasthan Technical University between 2013-15. His research interests are Turbomachinery Dynamics, Nonlinear Parameter Estimation, Instrumentation and Integrated Health Monitoring of Machinery. He has executed major projects for organisations like the Aeronautical Research & Development Board, Department of Science & Technology, Indian Space Research Organisation, Ministry of Railways, TATA Consultancy Services, Larson & Toubro, Scooters India, Hindustan Aeronautics Limited, among others. He has been the Chairman, Automotive Parc, National Program on Smart Matls & Structures; Project Coordinator, Nano-Satellite, JUGNU Project with ISRO; Consortium Leader, Core Group on Automotive Research; Member, Expert Task Force on IVHM of LCA (Light Combat Aircraft); Editor, ISSS Journal (International Society of Smart Systems); Editor, Advances in Vibration Engineering;; Founding Director, International Society on Asset Management, Australia. Do we know we are competent? A controversial question for asset managers and their teams. I once worked as a Plant Engineer for a manufacturing company with several production lines. One morning on arriving at work, I was shocked to hear there had been a fatality in the factory overnight. A production worker was electrocuted. I had known him well. He had a wife and two young children. Investigations found the root cause was inadequate design causing equipment failure. Although not directly involved in the design, I felt and still feel a level of responsibility for this accident. The failed equipment was in my ambit. His death was preventable. Assets can kill, cause large scale environmental damage and significant financial loss. People are intimately involved in every step of the asset life cycle and are almost invariably at the root of all asset failures. Asset managers, do we know we are competent? How do we know? What can we do to ensure competence? Can we be certain about our asset related decisions? This paper raises some controversial issues. Steve is an Engineering Program Manager with expertise in managing technology upgrade projects for resources clients, new product development projects and the training and development of engineers. His work has included comminution and flotation technology upgrade projects using IsaMillTM and Jameson Cell technology for clients such as BHP Billiton, Anglo American Platinum, PanAust, Newcrest Mining and Freeport McMoran. He has also managed novel technology development projects and warranty claims, solution development and global multi-client solution rollout for Xstrata Technology. Steve has a PhD in asset renewal decision modelling. 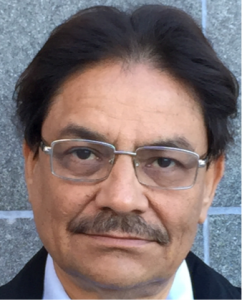 Over the last 25 years, he has trained or educated approximately 1000 engineering professionals in various aspects of project management, risk management, asset management and mechanical engineering. He has developed and delivered both undergraduate and post-graduate courses for Australian universities as well as nationally accredited vocational training. He has also provided career support and guidance to many graduate and undergraduate engineers. Steve’s greatest passion is developing, training and supporting engineers of all disciplines towards achieving their highest potential. He loves seeing engineers flourish and helping them discover personal motivation to improve their performance. He looks forward to positively influencing more and more engineers in the future. The context for managing water assets is more complex than any other – water is essential to life, it’s a human right and a commodity; it’s critical to environment and central to economy, occurs across a drought to flood continuum – it’s scarce but renewable, recognises no political boundaries, it’s global and local. A complex system of resources enables utilitarian value of water: hydrological cycle; natural assets; ecological services; built infrastructure to capture, store, treat, supply potable water, collect, treat and discharge waste; digital infrastructure; operating systems; data assets and people. The interface between assets and humans – the most complex elements of asset management –is what defines the asset’s purpose and its value. Water assets that deliver a uniform food-grade product continuously to widely diverse populations, performing under diverse circumstances – climate change, technological advances, globalisation, population growth, regulatory reforms and economic downturn are not uncommon to utilities. Just as the solar energy revolutionised consumer behaviour and consequently electricity provider behaviour, climate, environmental factors, digital technology, as well as the water-energy-agriculture nexus lead to enormous challenges to the water industry. QUU has explored future scenarios and developed five Utility of the Future directional themes. Co-creation of shared value for community liveability is our pathway. We are transforming towards a diverse but integrated portfolio of natural assets, built assets, digital data and information assets, supported by customer and community centricity and commercial viability. 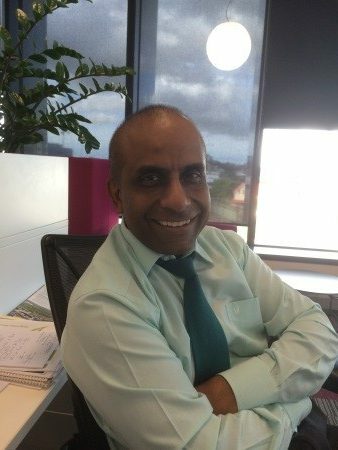 Abel is a co-author of Queensland (Qld) Urban Utilities Utility of the Future Directions Paper and leads QUU’s Servicing Strategies that ensure QUU fulfils its purpose of Enriching Quality of Life by creating shared value – delivering services and products for the community, demonstrating environmental leadership and commercial viability. Abel initiates, develops and implements policy and strategy for local, state and commonwealth governments, private and for not for profit sectors, delivering value to the community. At Qld Department of Energy & Water Supply Abel facilitated regional planning, total asset management planning, dam optimisation, asset upgrades and transfers, drought planning, new dam concepts, flood resilience. At Queensland Water Commission, he facilitated the amalgamation and corporatisation of Seqwater, and the response to Qld Flood Inquiry. Abel was an Advisory Board member and Director at Hyder Consulting and as principal advisor to Commonwealth government he developed basin water reforms, reviewed water infrastructure projects. As CEO and Executive Director NSW State Water Corporation he Integrated 11 regional water businesses and led its corporatisation. Australia is embarking on the largest reconstitution of its navy in the post-WWII era. In 2016, Australia’s federal government unveiled a national shipbuilding strategy for continuous build of more than 50 ships and submarines in Australia. Investment of this magnitude significantly increases the future need for in-service support, maintenance, modernisation and life cycle management of the nation’s major fleet units. Over the past couple years, Chief of Navy has repeatedly advocated cooperation between Defence and its industry partners to implement total asset management as the standard practice for sustaining ships and submarines. As new shipbuilding programs progress from concept and design to construction and delivery, existing platforms will continue to age; requirements to provide maritime capability to the country’s operational commanders will not be relaxed and may actually increase with rising geopolitical tensions in the Indo-Pacific region. An ethos of life cycle management within both Navy and Australia’s defence industry necessitates asset management principles and practices be applied within each class of ship to optimise availability, capability and affordability in support of national maritime defence strategy. Toby is an experienced naval engineer and technical leader that has spent his professional career sustaining a range of surface ships and submarines in shipyards and forward operating areas. After a distinguished career in the US Navy, Toby brings extensive knowledge of submarine and ship life cycle management to Australia. He has significant international experience including more than six years on the waterfront in Japan at US Naval Ship Repair Facility – Japan Regional Maintenance Center and in Australia as the U.S. Navy’s Naval Sea Systems Command on-site technical representative to the Air Warfare Destroyer program. Toby earned his Bachelor’s degree from the United States Naval Academy and a Master’s degree from the U.S. Naval Postgraduate School and is a Chartered Professional Engineer (Mechanical College). He is passionate about life cycle management of naval vessels and is currently ASC’s Fleet Maintenance and Modernisation Manager for the Collins Class Submarine Sustainment Program where he concentrates his efforts on providing world-class in service sustainment for Australia’s submarine capability. Much has been written about the relative benefits and comparative capital costs of trigeneration for power and energy supply- but do these business cases factor in the long term benefits, commercial attractiveness and positive reputation that flows from trigeneration. Critical assets used in healthcare service delivery require 24/7 365 day energy supply irrespective of market fluctuations and demand, with Queensland facing ever increasing electricity pricing. The Lady Cilento Children’s Hospital precinct uses trigeneration plant year round to reduce the carbon footprint of two major healthcare and research buildings in Brisbane, Australia. The hospital precinct is one of only a small number of large hospital sites world-wide to use such technology to supply lower-carbon electricity, hot water, steam and chilled water. As a responsible healthcare service deliverer, Children’s Health Queensland strives to responsibly use only what energy is needed to operate the healthcare precinct and to maximise the efficient use of energy generated. This paper outlines the trigeneration technology in place at the precinct, the significant benefits and efficiencies from trigeneration, and the critical role trigeneration plays in advanced asset management practices. Michael Campbell is currently the Senior Director, Facilities Management at Children’s Health Queensland and oversees a diverse property and facilities portfolio valued in excess of $1.25 billion. Michael brings extensive private and public sector experience across property and facilities, major capital works and property development, outsourced property services and FM solutions, fleet, building and road construction, risk management and governance roles. 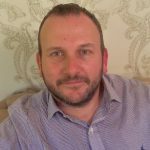 Michael has spent the past 15 years in property, asset and facilities management roles, delivering focussed, practical and sustainable business solutions. Michael holds Bachelor degrees in both Speech Pathology and Science (Psychology), a Master of Business Administration (University of Queensland), and a Diploma in Company Directorship (University of Sydney). 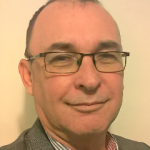 Michael is the current Co-Convenor of the Health Infrastructure Special Interest Group of the Asset Institute which explores healthcare specific partnering, initiatives, projects, innovation and research to advance asset management and improve business efficiency in healthcare and hospital organisations. Michael is keen to progress technical and professional interests including ISO55000 Asset Management, effective FM systems, and delivering business intelligence in asset infrastructure businesses.